My friend Lindsey came to AZ to enjoy the resort while I was working, but we had one free night to get together to celebrate 10 years of friendship! We wanted something delicious, so we went to Roy's, a high-end Pacific Rim restaurant that is sort of a Hawaiian and Asian fusion cuisine. It's one of my uncle's favorite restaurants in Hawaii (there are about 20 total in the now-high end chain), and since he has good taste I knew it was worth a go... especially since Lindsey and I have been to Hawaii together before! We kicked off with champagne, and we were given edamame as a house starter. 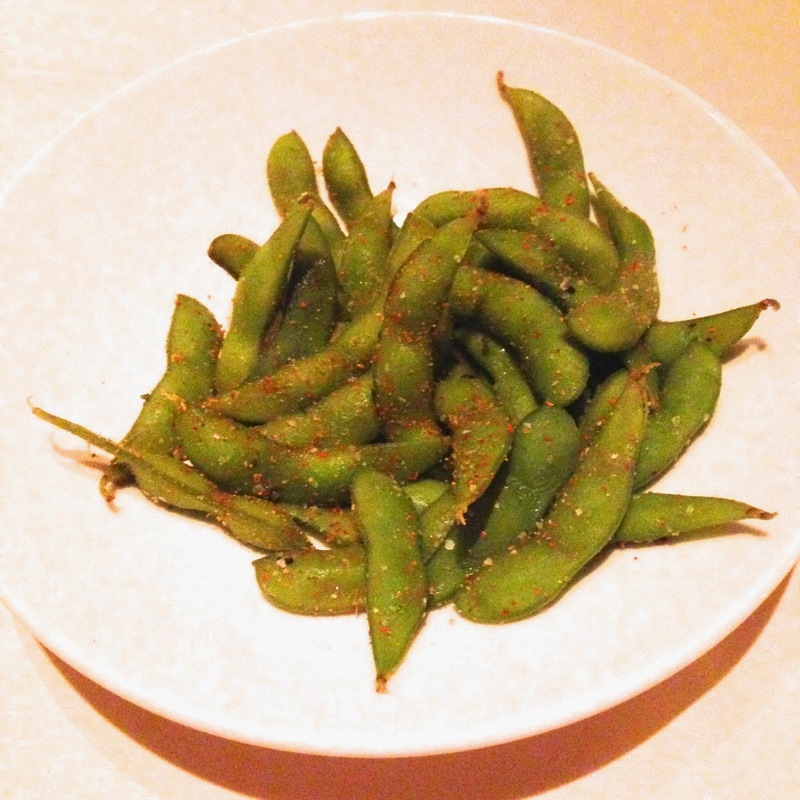 It was salty and delicious, as edamame tends to be! When I was introduced to the available tasting menu, I was super pumped. 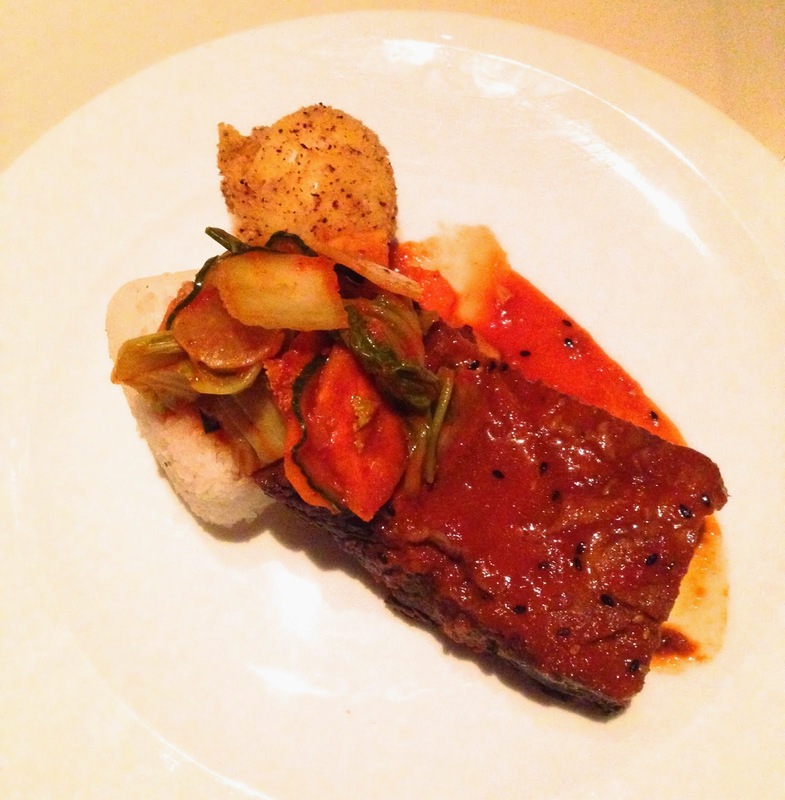 For $39.95, they featured a multi-course Korean-inspired menu... like it was made for me! This is definitely a bargain for a high-end restaurant chain like Roy's. So, I indulged! 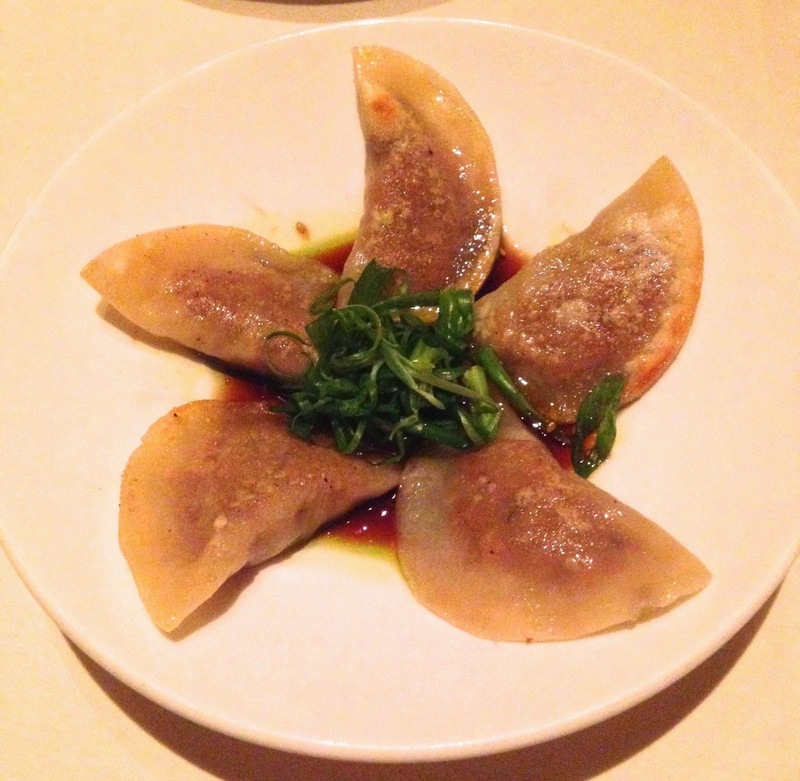 My first course was Wagyu Beef Mandoo, a Korean dumpling with shoyu sesame dipping sauce. I prefer steam dumplings, and these were pan-fried, but the wrappers were still tasty. The dipping soy sauce made it all a little salty, so I didn't let the dumplings swim in the juices for too long. For my main dish, I had the Loco Moco. I love Hawaii, and loco moco is a variety of dish there that typically features rice, some kind of meat (like Spam or hamburger), gravy, and a fried egg. This version was wonderful, featuring Red Dragon charred short rib as the meat, rice in an onigiri shape, a fried whole egg (crazy cool! ), and kimchi. It was all perfectly a combo of casual Hawaiian flavor, Korean fusion, and well-made food. This was my favorite dish of the night! 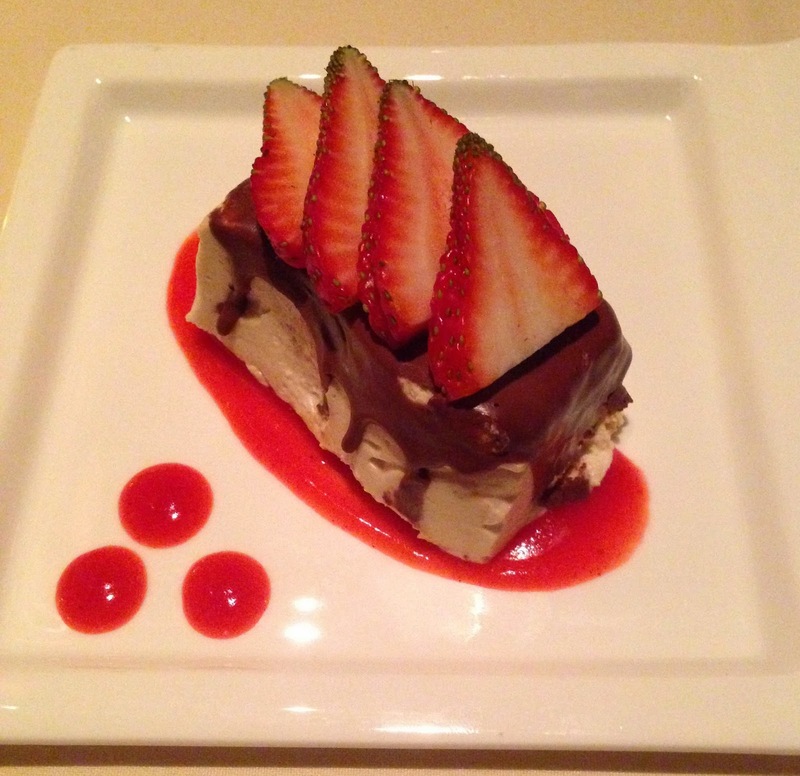 For dessert, I had a tasty peanut butter mousse. I was pretty full at that point, so while I liked it, it didn't blow my socks off enough to gorge on. Still, I feel like I had a really excellent meal with some unique flavor combos, for a great price. It was better than expected, in a few different ways! I won't hesitate to eat at Roy's again, whenever I'm near one. I know they won't always have the Korean fusion special menu, but I love Hawaiian flavors and it gave me a little tastebud trip back to the islands.